24 Hours Later, How Do You Feel About the TMNT Trailer? I feel the same way as most of the people reading this. You’re here because you’re a late 20s to early 40s male who is scared that Michael Bay is going to ruin something else from your childhood. After the last two Transformers films, I can understand it. But think back to the first Transformers movie. While there were certainly some decisions I’d disagree with, like Optimus Prime having a mouth, for the most part Bay did a good job with it. Looking at the Teenage Mutant Ninja Turtles teaser released yesterday (and seen below), the internet have fallen into one of three camps. The minority seems to be wholly optimistic of the project. For now, we’ll call these the blissfully ignorant be it that they have absolutely no taste at all or they have never seen what Michael Bay can do to a franchise when left unchecked or had to watch Megan Fox attempt to act. Then there is the grouping I am currently in which is okay with the current trailer, excited about the positive possibilities but is still have trepidations about getting our hopes up too high because we know that never ends well when it comes to Michael Bay. When I was younger, like most kids, I had Michelangelo pegged as my favorite Ninja Turtle. He was the fun one, the cool one, the one that everyone wanted to be. But as I matured (as mature as you can get when still being a fan of the Teenage Mutant Ninja Turtles that is), I began to lean more and more towards Leonardo. Of the four brothers he is the one who had to balance a father’s expectations along with brothers who were either immature, socially outcast or rebellious. He also has the most badass of any of the weapons. 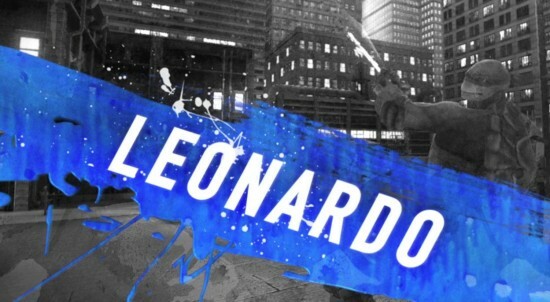 In this new darker TMNT game coming to the PlayStation Network and XBLA this summer, Leonardo may very well be the first turtle I choose to be. In the original Teenage Mutant Ninja Turtles game his swords were second only to Donatello’s bo for range and damage and later iterations put in him the role as team leader amongst his band of brothers. If you’re close to my age, one of your favorite video game memories is most likely being in the arcade playing the Teenage Mutant Ninja Turtles game in all its side scrolling, beat-em-up glory. With the upcoming downloadable title Teenage Mutant Ninja Turtles: Out of the Shadows, we may get to relive our past glory while a whole new generation gets to experience it for the first time (without pumping the arcade machine full of $27 in quarters. In the latest trailer, we get to take a look at Michelangelo in action. The first thing you’ll notice is that the combat doesn’t resemble that of a simple brawler as the moves done by Mikey more closely mimic that of the Batman: Arkham franchise. Combat looks to have a dynamic feel, and though there are bound to be some canned animations (like Mikey’s head spin) it appears as though there will be a plethora of different moves happening during a fight as opposed to a few basic swinging animations from the classic arcade series. If you were born after 1980, the names Leonardo, Donatello, Rafael and Michelangelo aren’t just a bunch of names you ignored in fine arts class. For almost three decades, the Teenage Mutant Ninja Turtles have been a part of the lives of so many different generations with some of their iterations being better than others and their history in video games is no exception. While the first Teenage Mutant Ninja Turtles game is renowned as being one of the most difficult games on the NES (even though its key audience was kids), the Teenage Mutant Ninja Turtles four player arcade cabinet is one that hordes of us pushed quarter after quarter into and did so happily. With the most recent version of TMNT hitting big on Nickelodeon and a Michael Bay (shudders…) feature film in the works, it’s no surprise that a new game would be making its way to consoles. 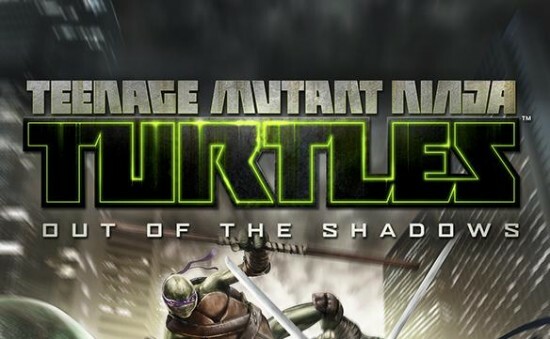 Thankfully it isn’t based off the Michael Bay film but instead off the Nickelodeon franchise in TMNT: Out of the Shadows. The ‘Teenage Mutant Ninja Turtles’ Return This Fall… In Cartoon Form! Most people who identify themselves as Teenage Mutant Ninja Turtle fans discovered the heroes in a half shell during their enormously successful first cartoon. It was that show that set a lot of the series trademarks that are essential turtle cannon to this day. There have been other cartoons since the original, even quite popular ones, but nothing really compares to the impact of the original. It seems the people who are crafting the new Turtles cartoon show have a heavy dose respect for that incarnation as is evidenced by the debut trailer. Debuting exclusively over at EW.com, the trailer for the upcoming cartoon gives us our first look at the animation style and tone of the show. It looks like a cross between the classic Turtles, the Clone Wars and anime inspired Teen Titans show from a few years back. Long time turtle fans should appreciate the general character designs and the tone of the characters, both of which seem to directly come from original cartoon. The animation style also seems appropriately epic for a show about giant turtles fighting a secret ninja clan, and likely aliens. The trailer will pop up officially everywhere tomorrow, but you can click over to the EW link and take a look at it right now. Hopefully this show ends up great, because a great TMNT cartoon is important for today’s youth. I have been vocal in opposition to the intensely wrong-headed internet overreaction to the Michael Bay produced Ninja Turtles reboot. A single misinterpreted statement and geek level distrust of Bay led to a firestorm of misinformation and backlash. I really think we are missing out on what could have been a fun take on the characters. That said, anytime a movie like this is pushed in pre-production to work on the script is a good sign. It would have been very easy for them to rush production and fix the script as they go along, which rarely works for these types of films. In the interim Ninja Turtle fans have a new TV series to look forward to that will have to keep you satisfied until the movie gears back up. Keep your eyes peeled to The Flickcast for more updates on this project in the coming weeks. Later this year, Nickelodeon will be reinventing the Teenage Mutant Ninja Turtles cartoon much in the way that IDW Publishing reinvented the TMNT comic line. While the core characteristics of the Turtles will remain intact, the creative teams behind these versions have gone in two very different directions. While IDW has gone for a more gritty and realistic (well as realistic as mutant turtles can be) version of the shelled foursome, Nickelodeon is going the other direction with a more kid friendly version much in the way the comics and cartoon series diverged over twenty years ago. At Toy Fair, the Flickcast got to see some of these latest Turtles designs up close and personal. The first thing people will notice actually isn’t the turtles at all but the redesigns on Shredder, Splinter and April. Shredder’s redesign looks like it has some drastic anime inspired influences behind him. He has been beefed up in terms of muscles and has more exaggerated spikes on his armor than ever before. The same goes for the Foot Soldier’s who now have incredibly creepy white with red polka dotted eyes.